Day one was technically on Friday, but since my internet connection was finicky for the entire trip, I didn't get a chance to post until now. 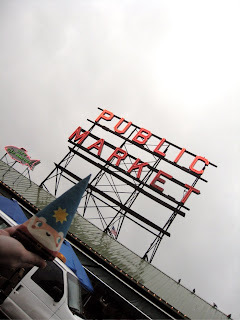 Despite the rain and cold weather, we, along with Gnorman the gnome (get it? so bad, but so good), made a visit to Pike Place Market and then grabbed a coffee and some sandwiches for lunch at Le Panier. 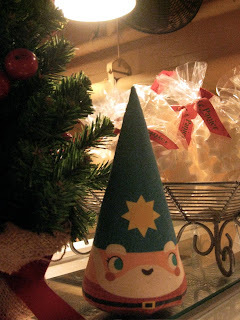 Just before we left for Portland, we popped into Schmancy and met Kristen from Urban Craft Uprising. UCU is held every December over two days and it is the ultimate indie craft fair in Seattle with 7800 attendees this year. Keep an eye on their website for some new events!